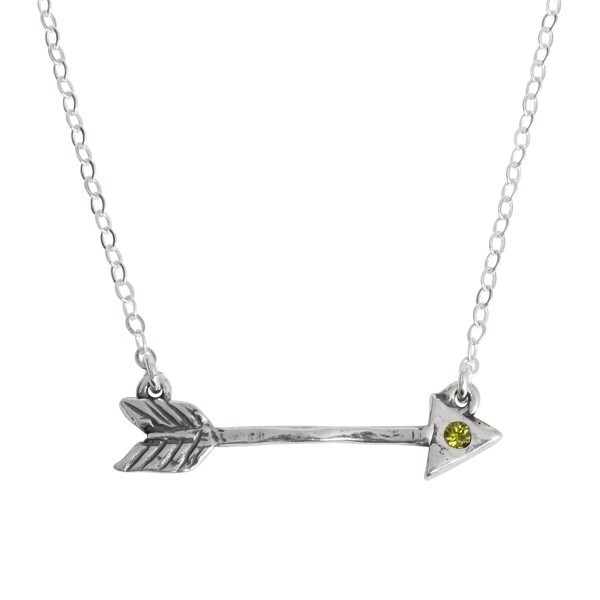 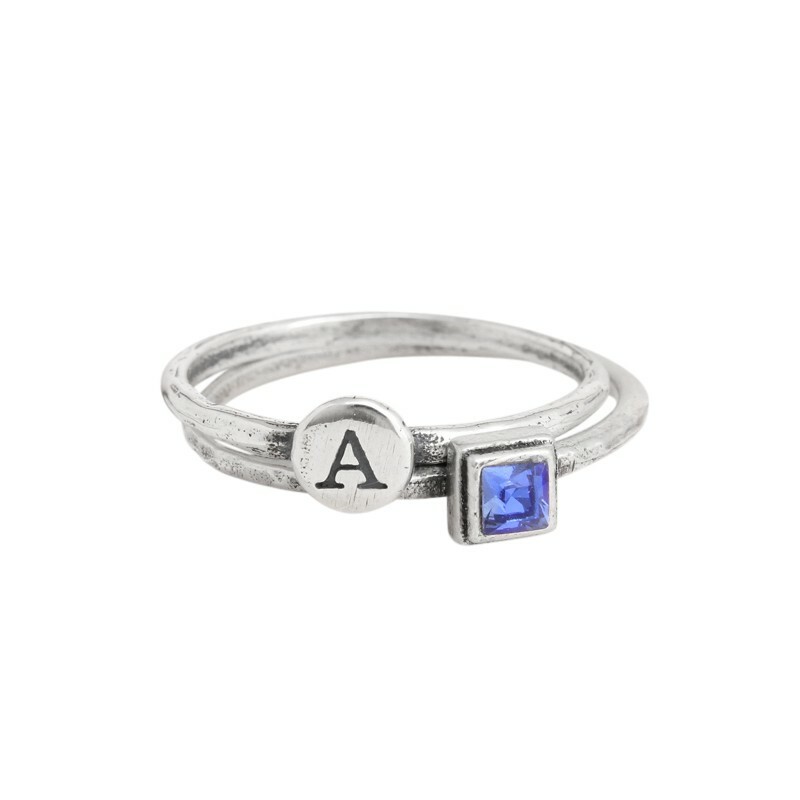 We've made shopping for grandmother's jewelry easier than ever! 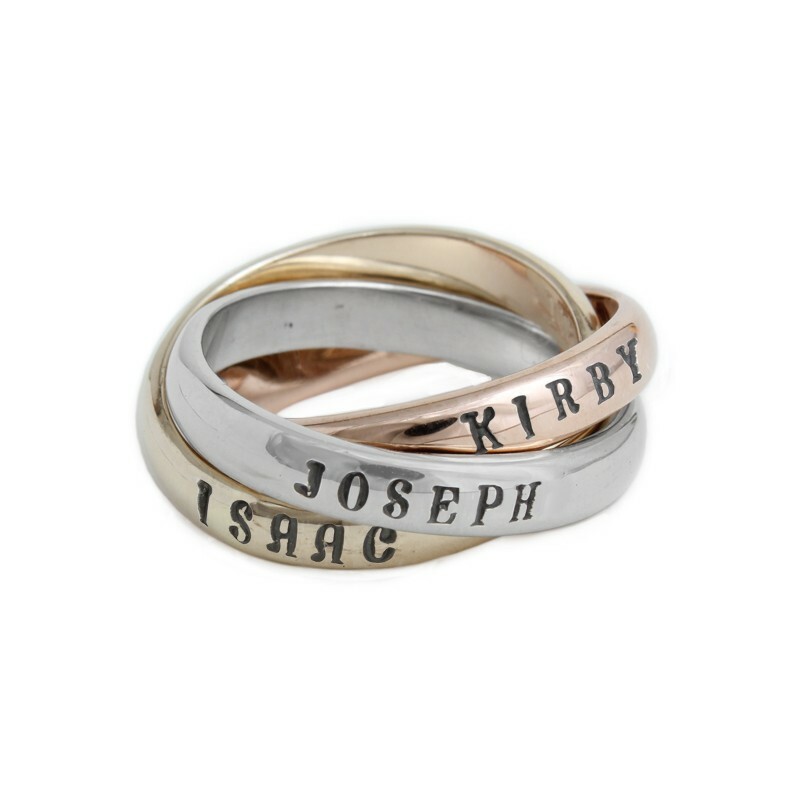 We have compiled all of our rings that we think would be great for grandma into this category for you to shop. 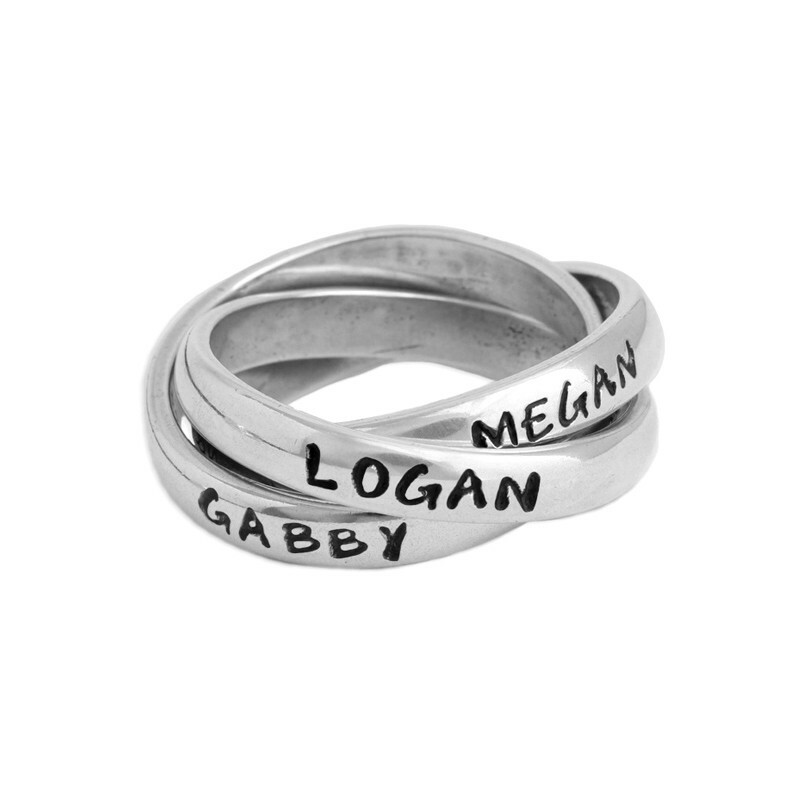 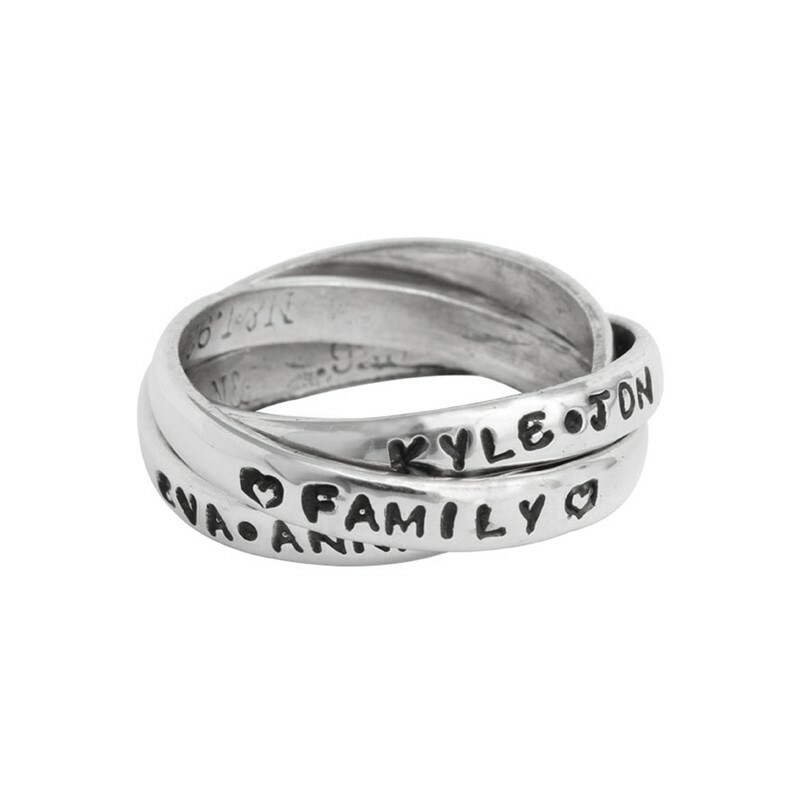 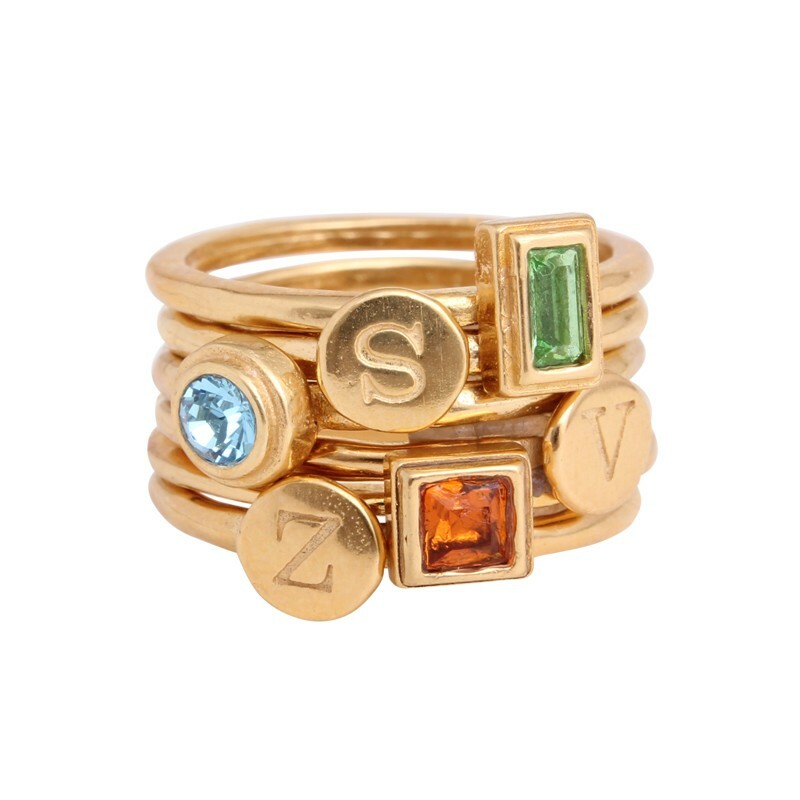 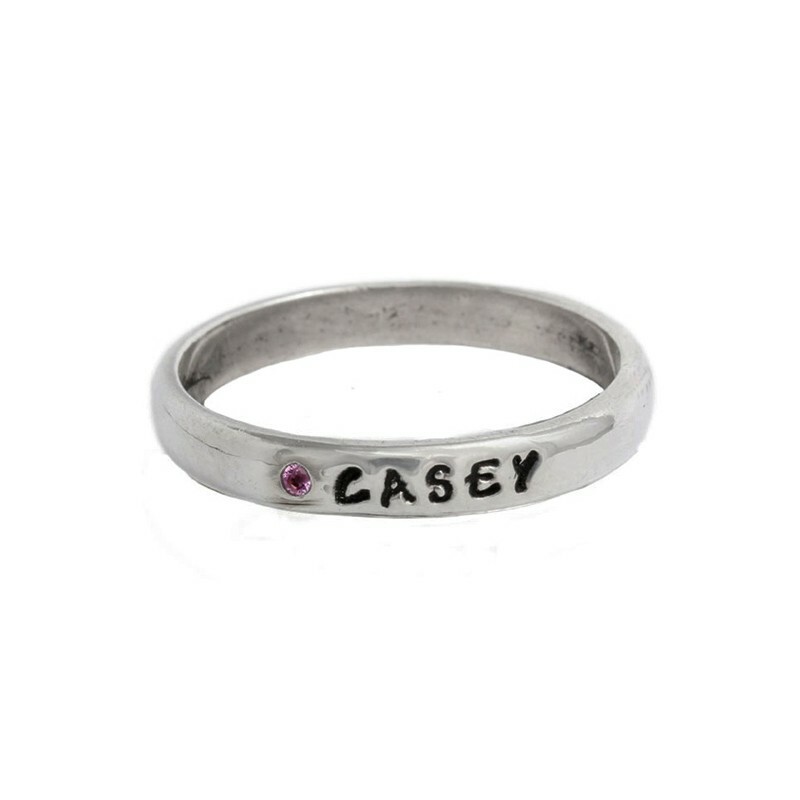 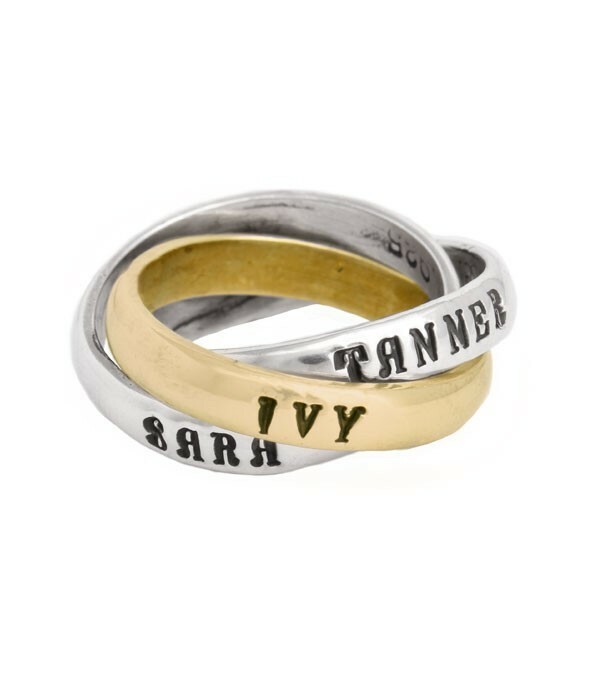 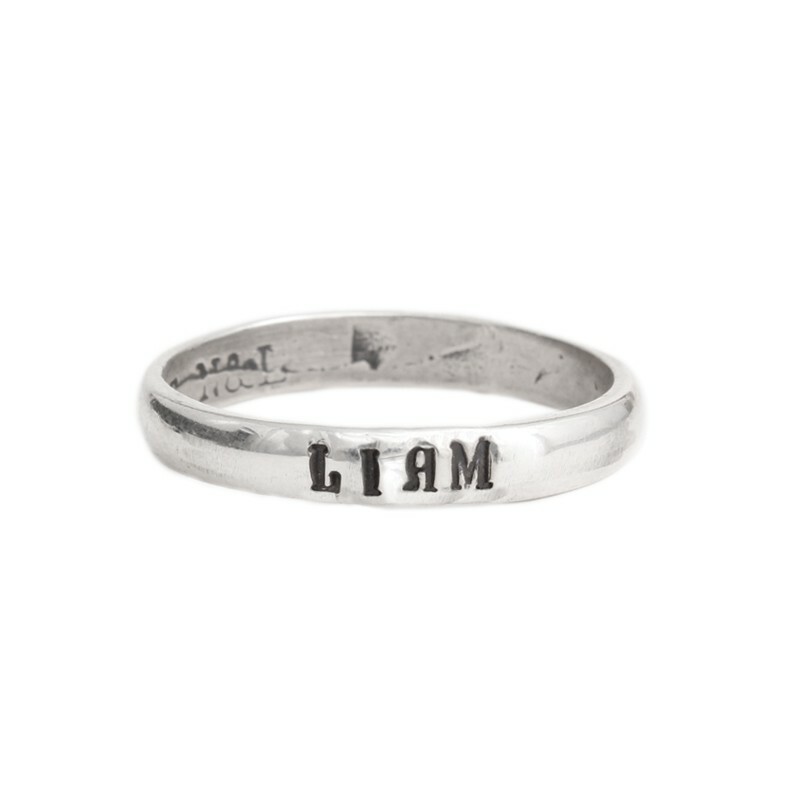 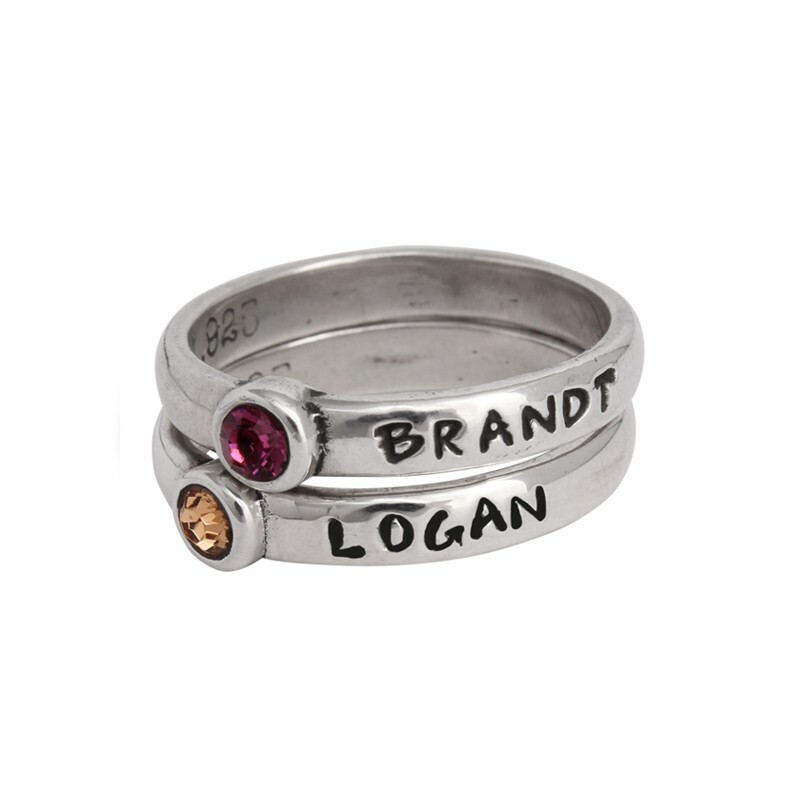 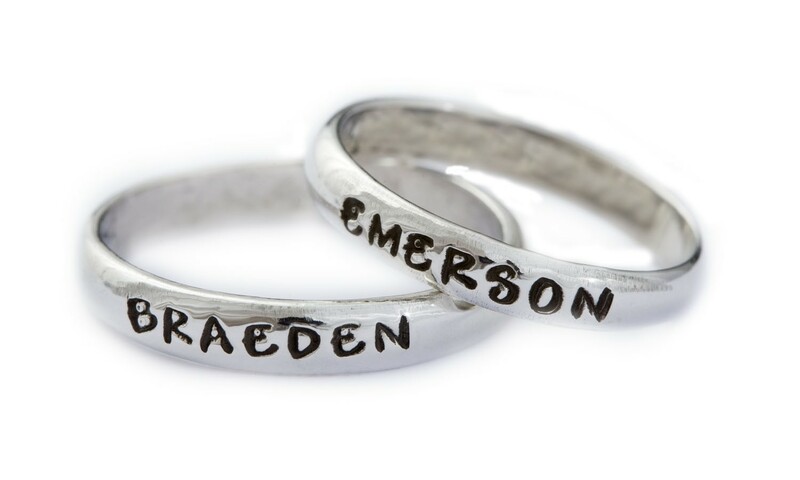 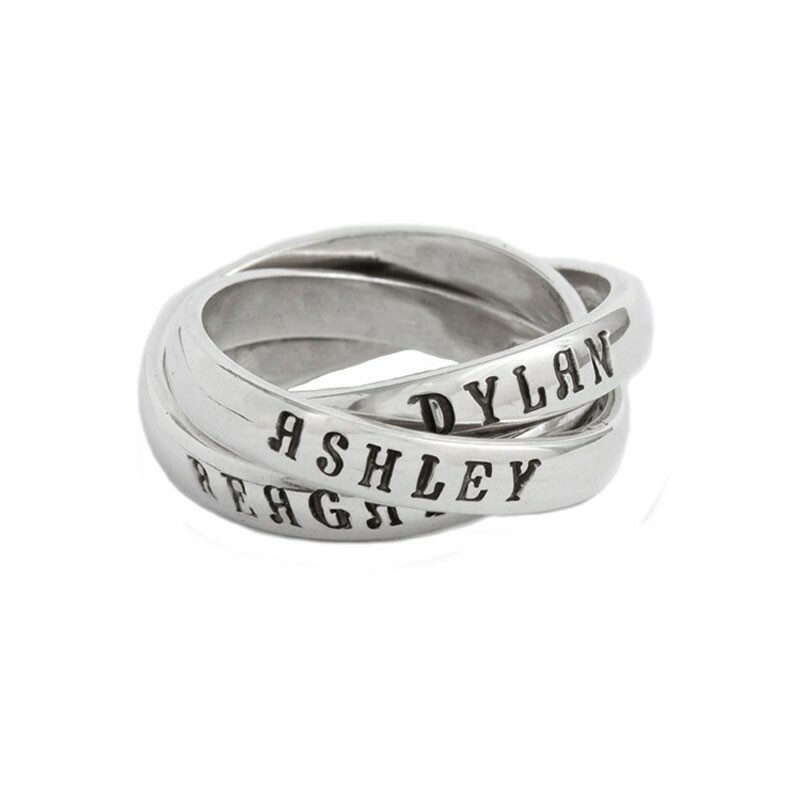 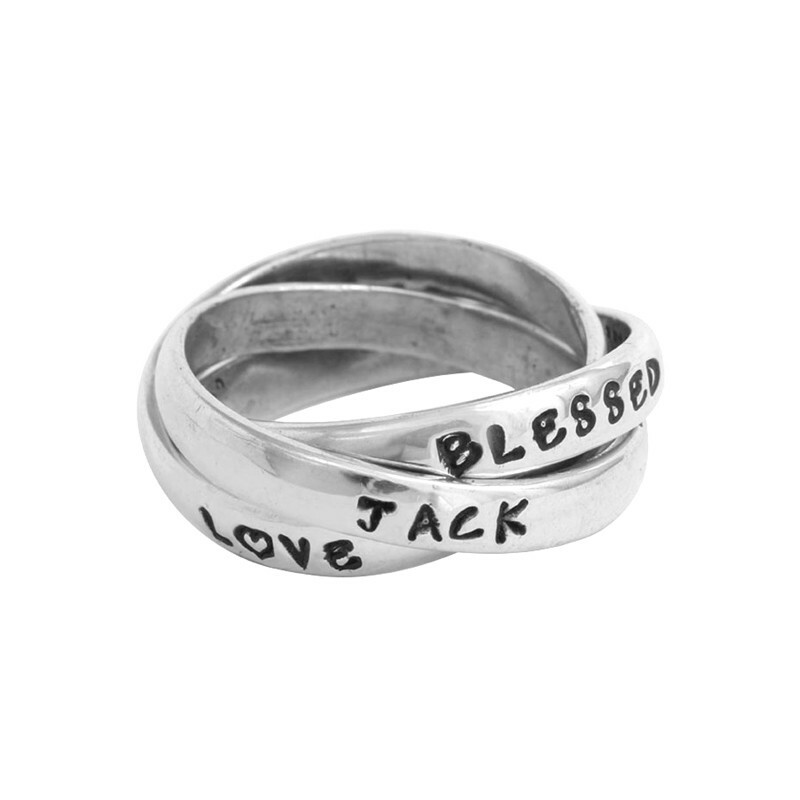 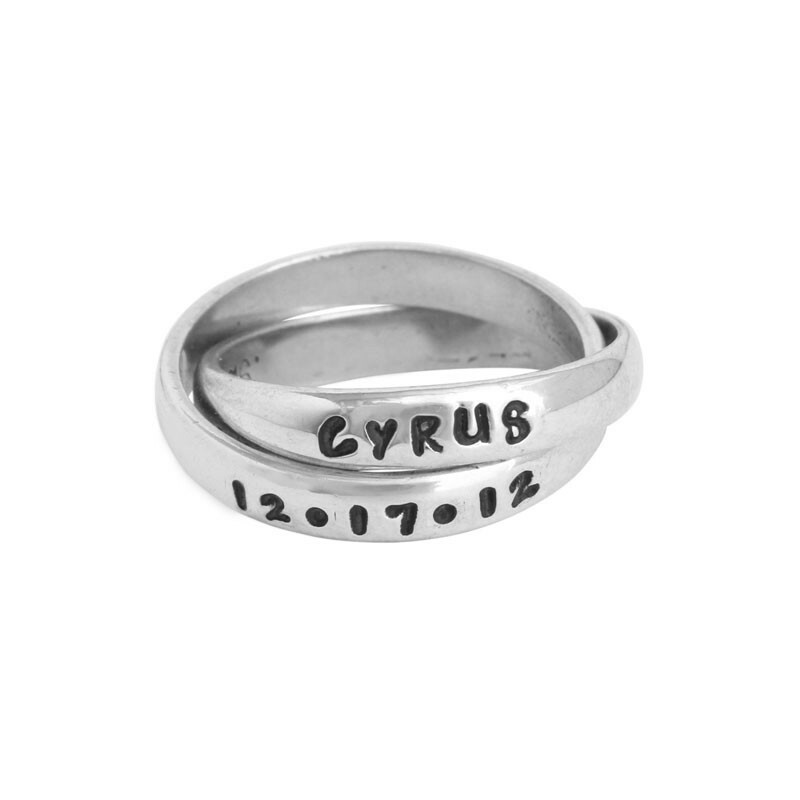 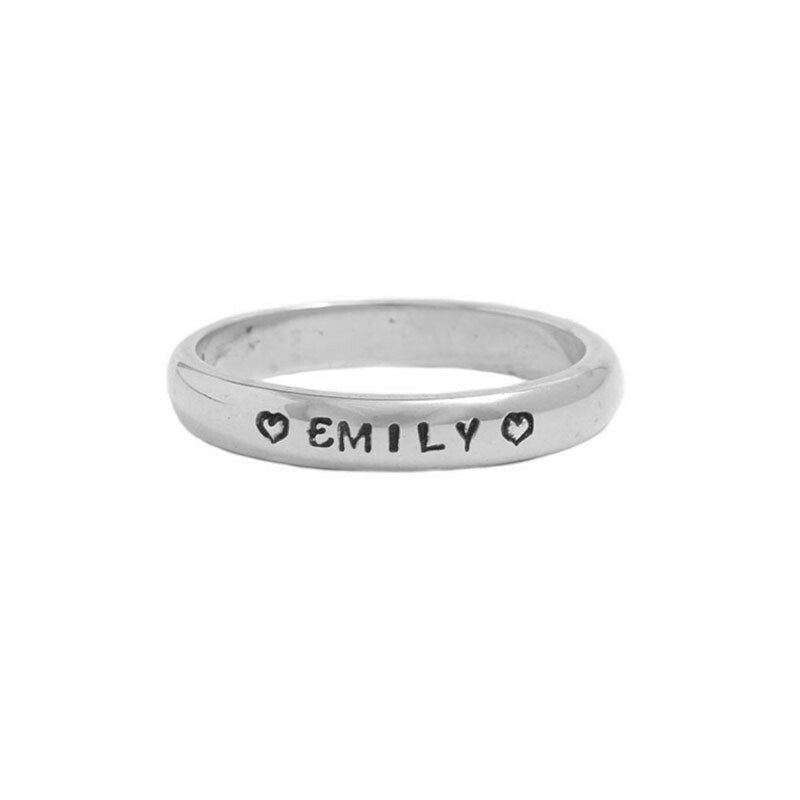 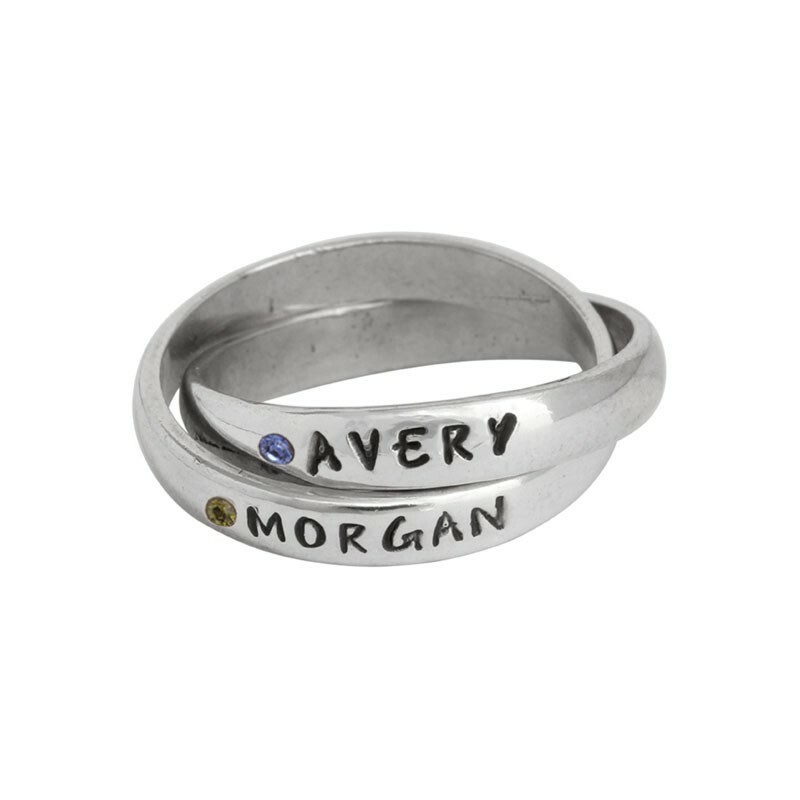 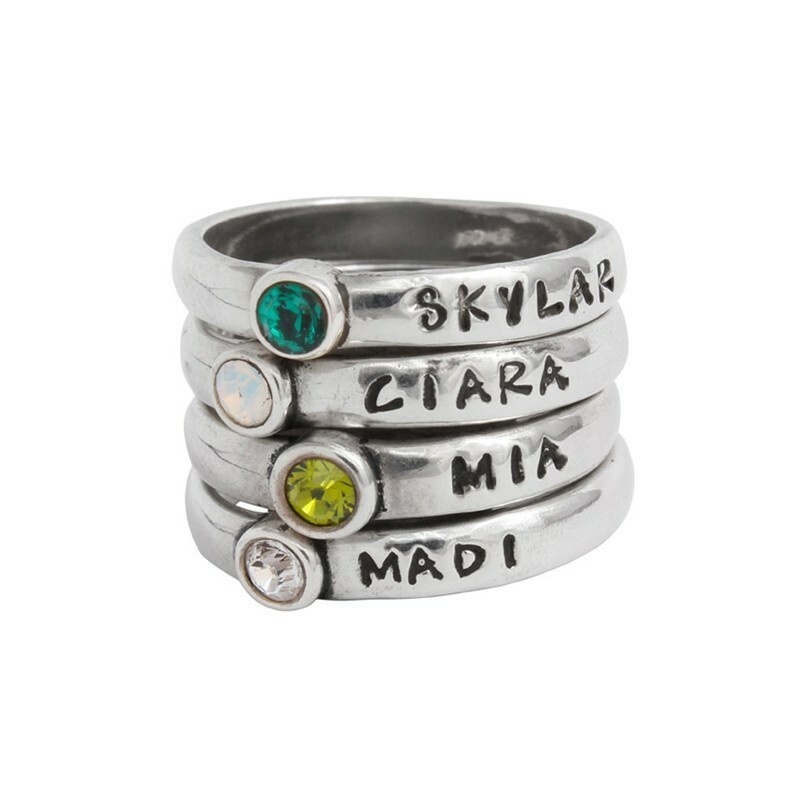 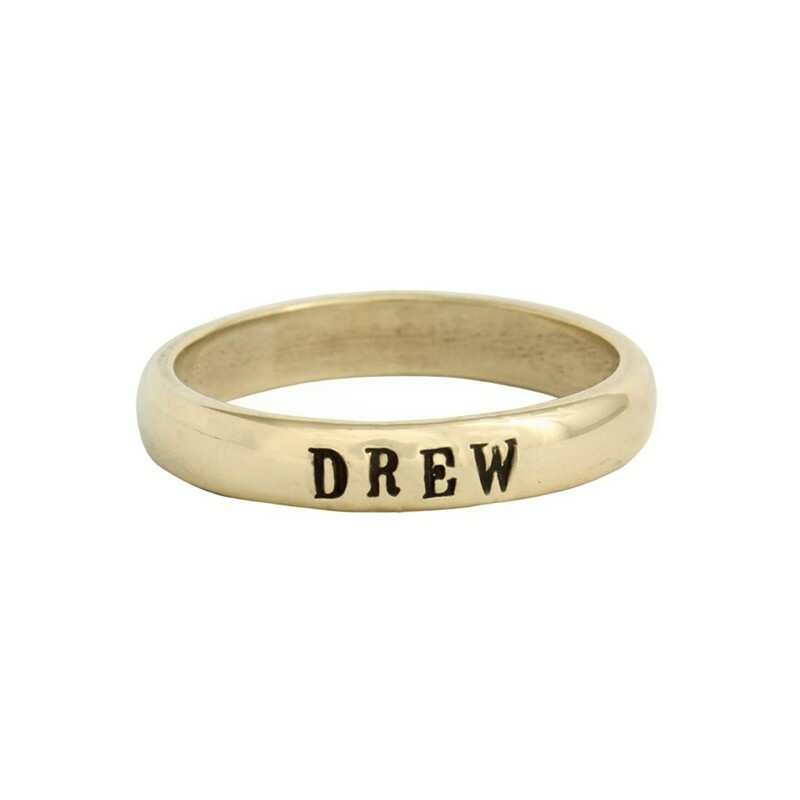 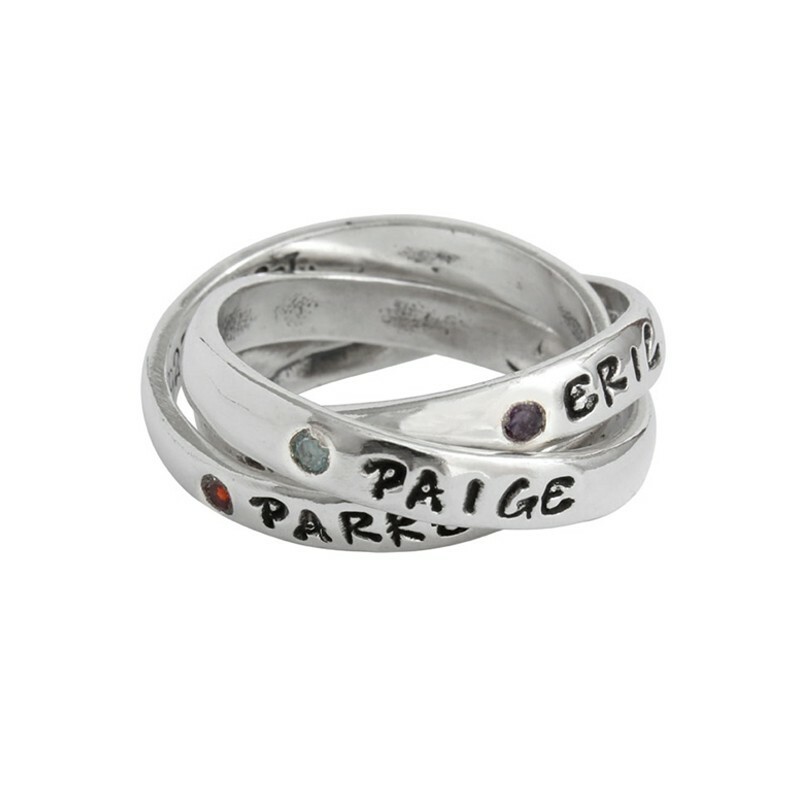 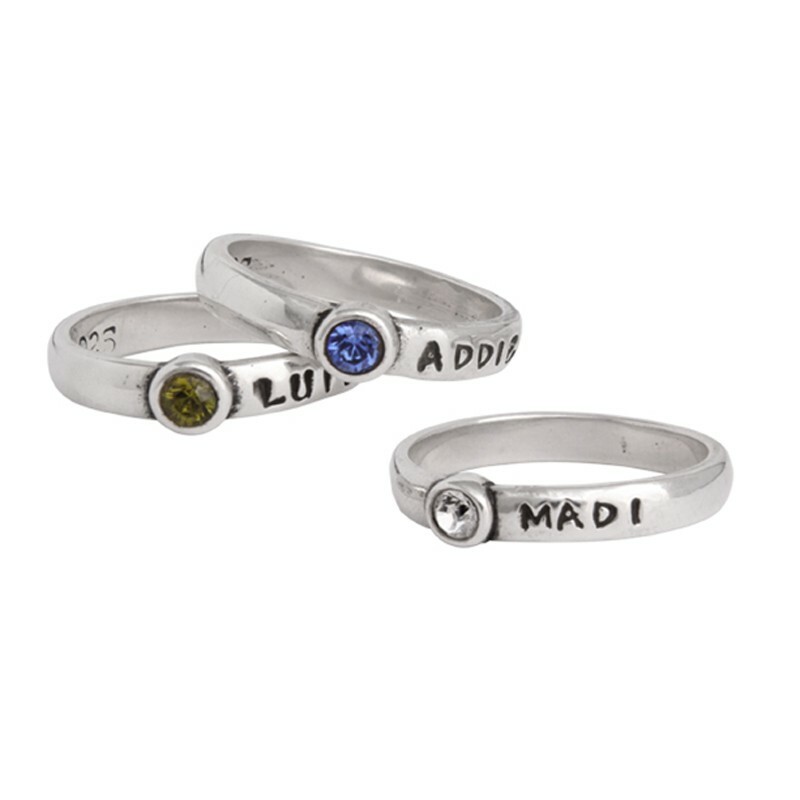 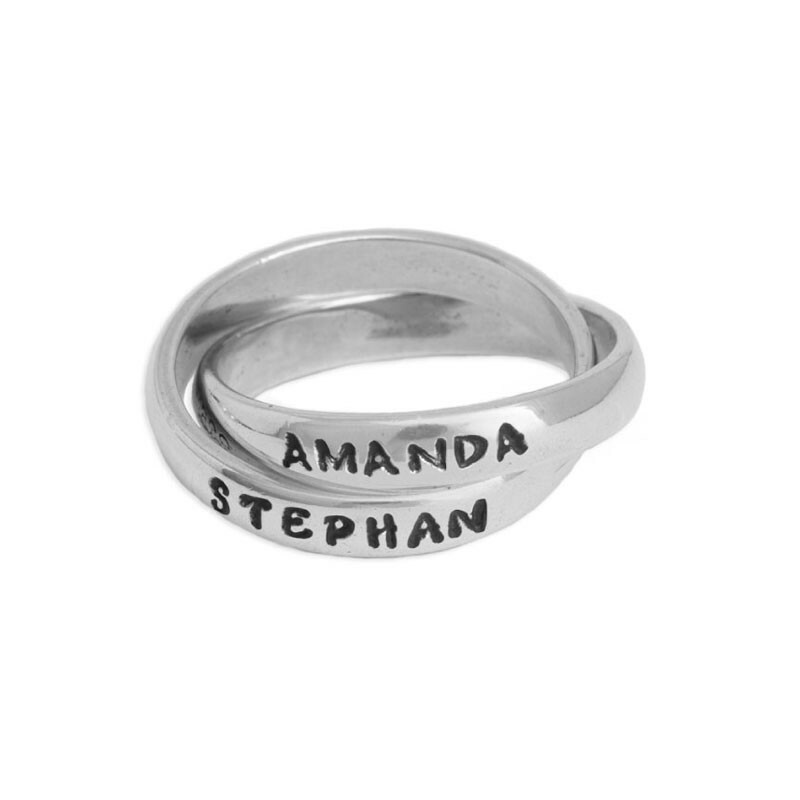 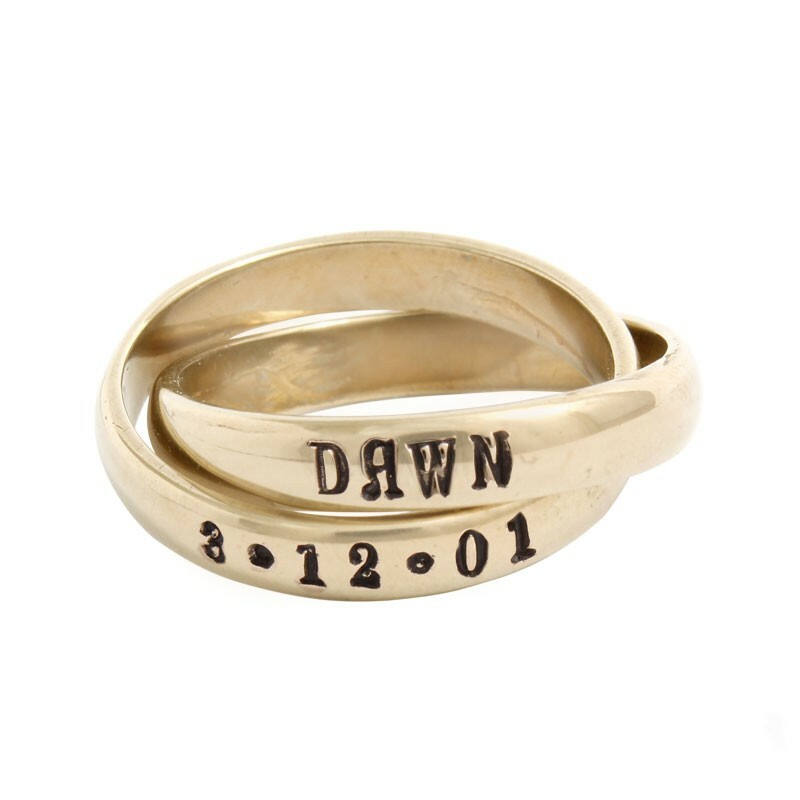 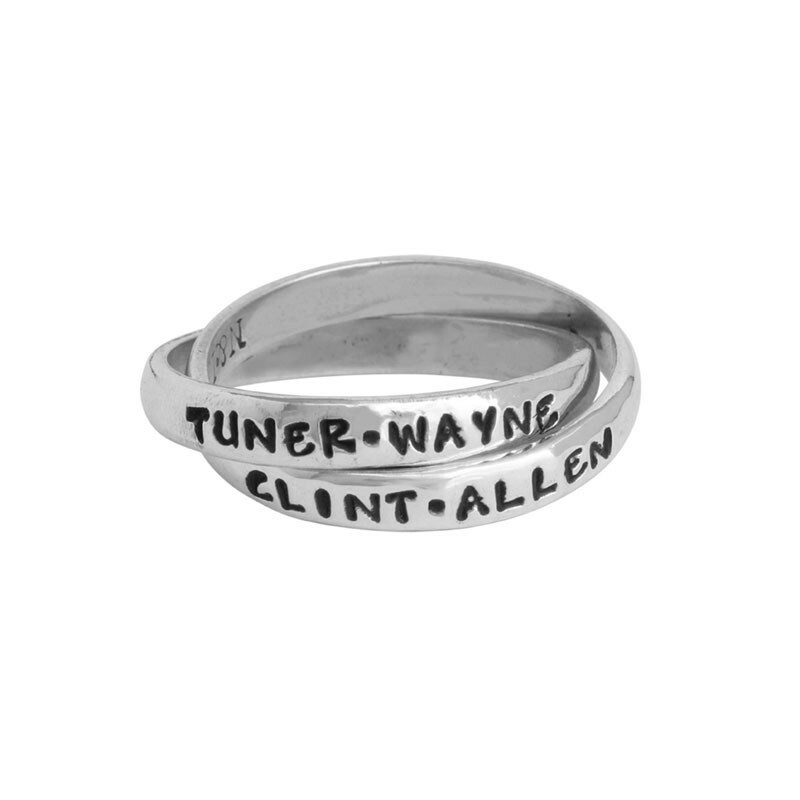 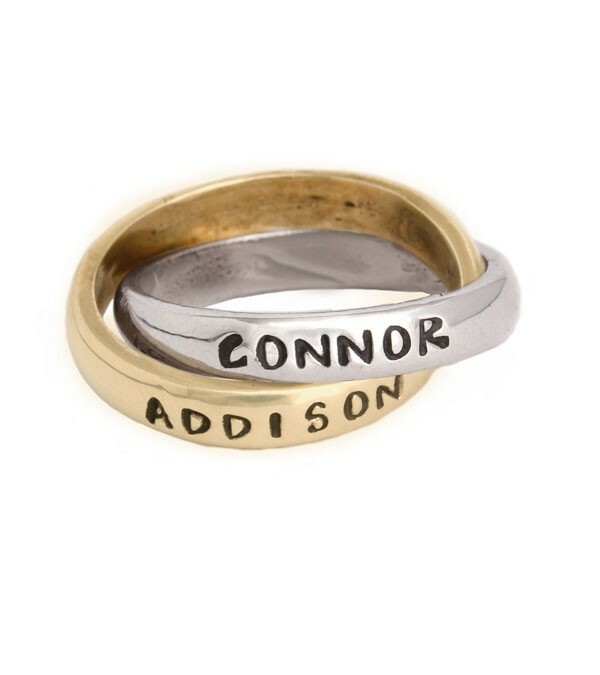 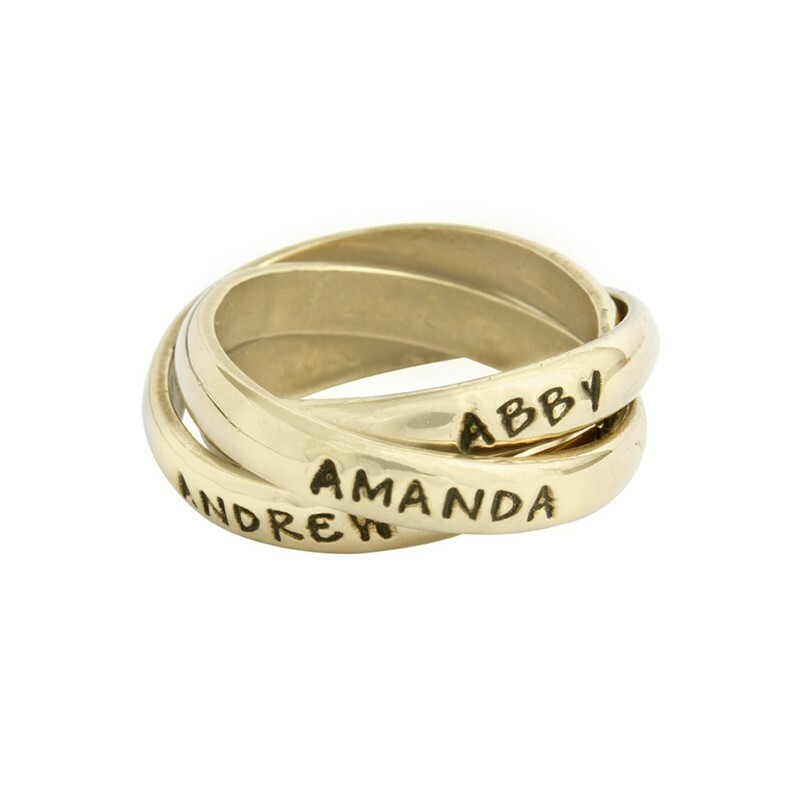 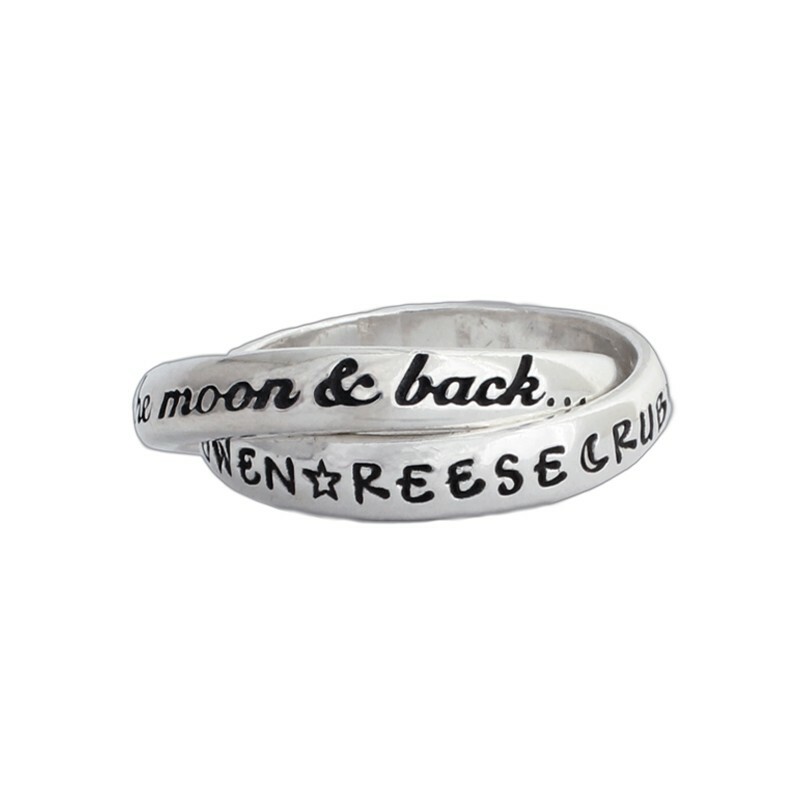 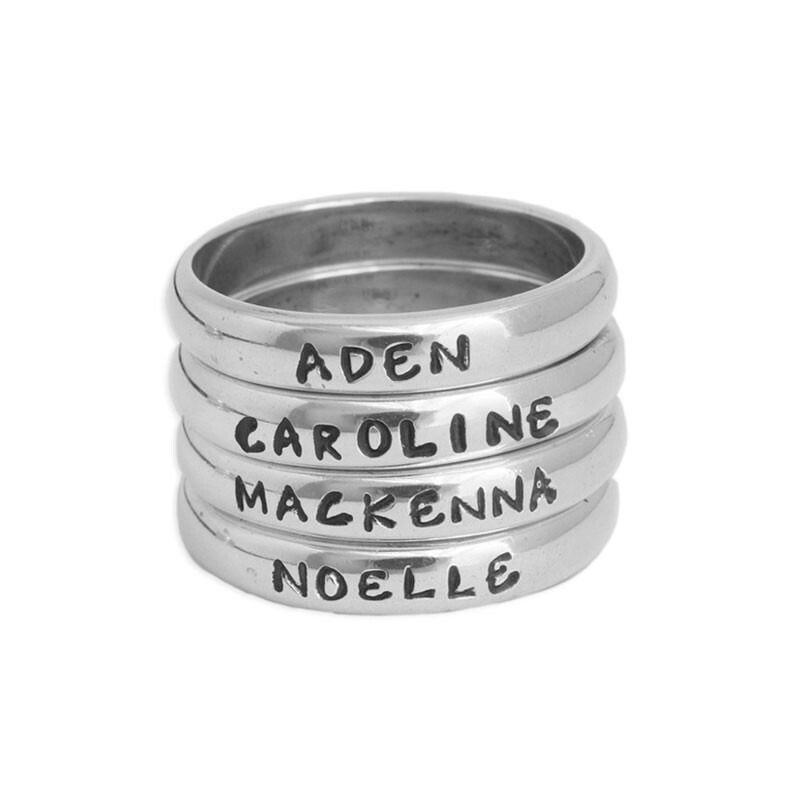 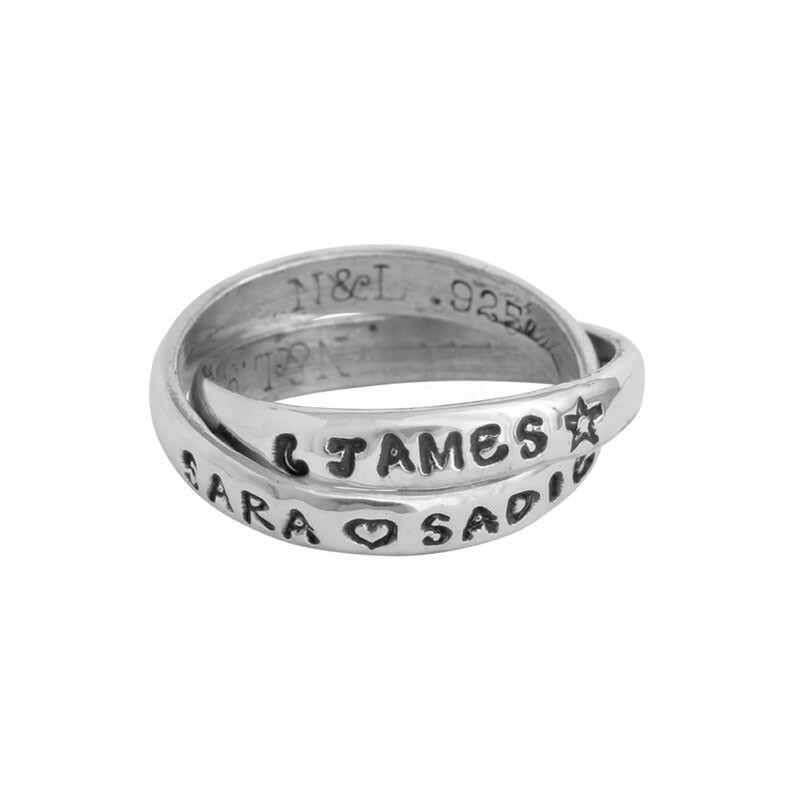 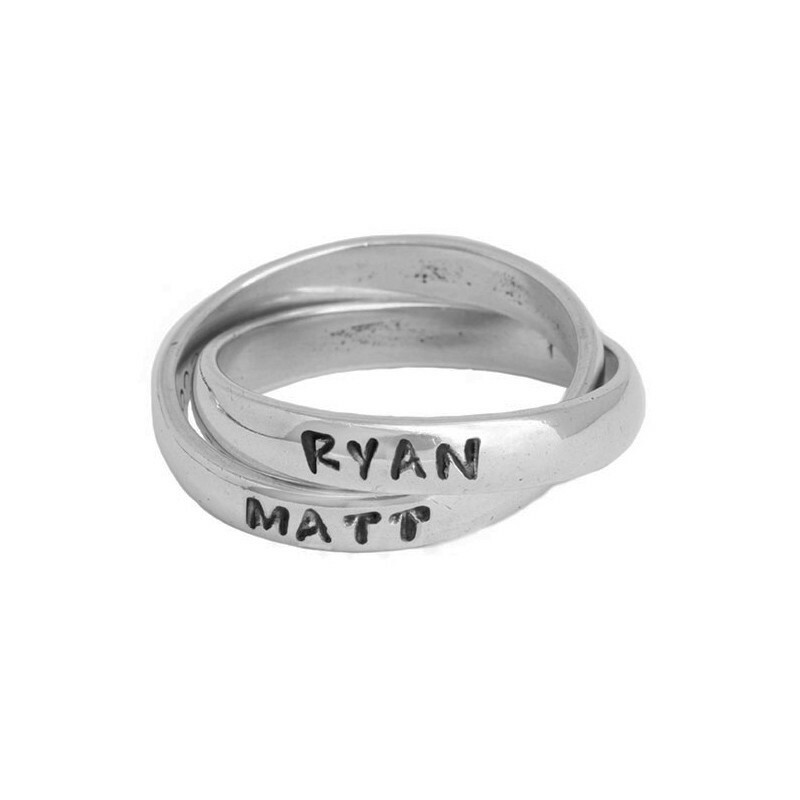 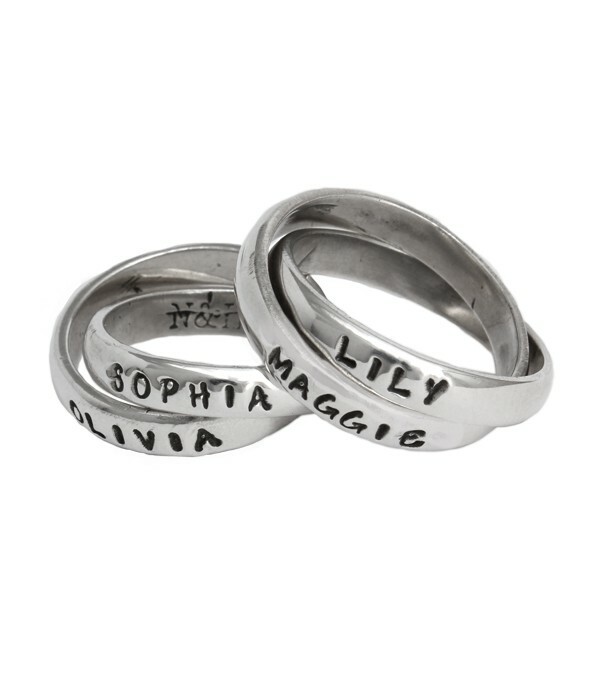 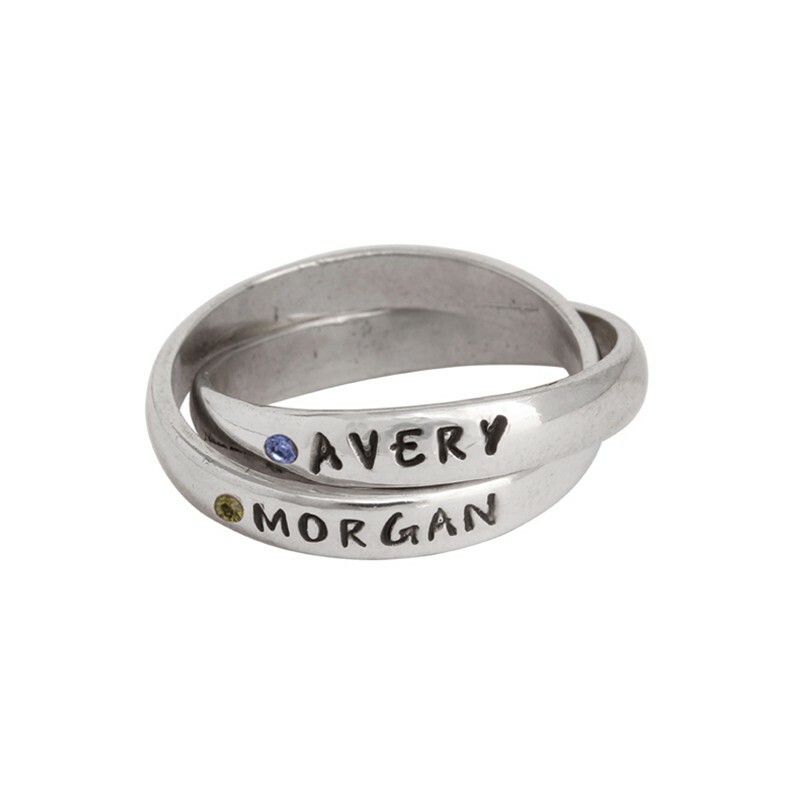 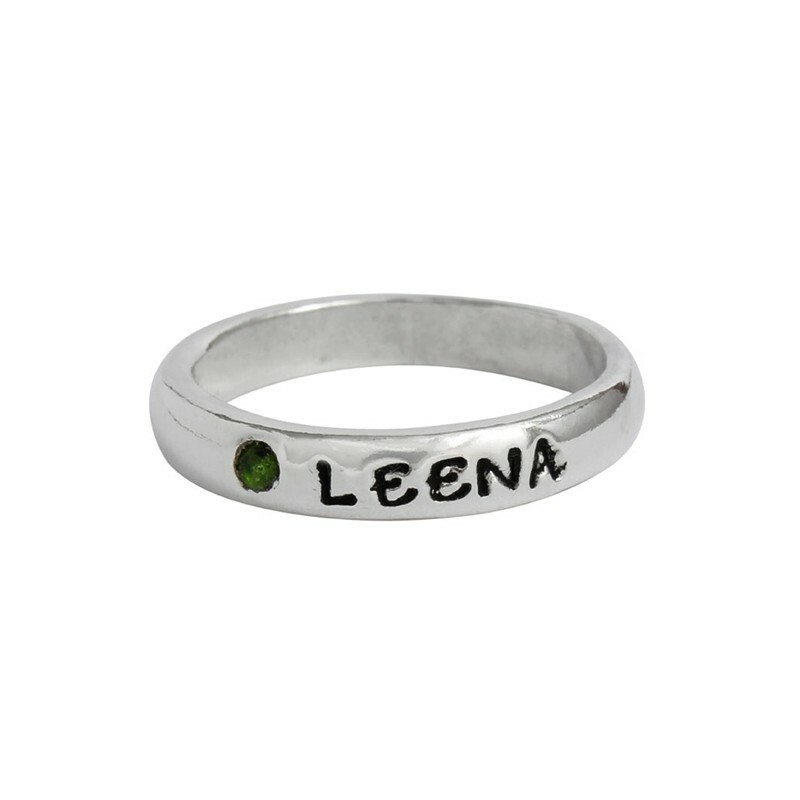 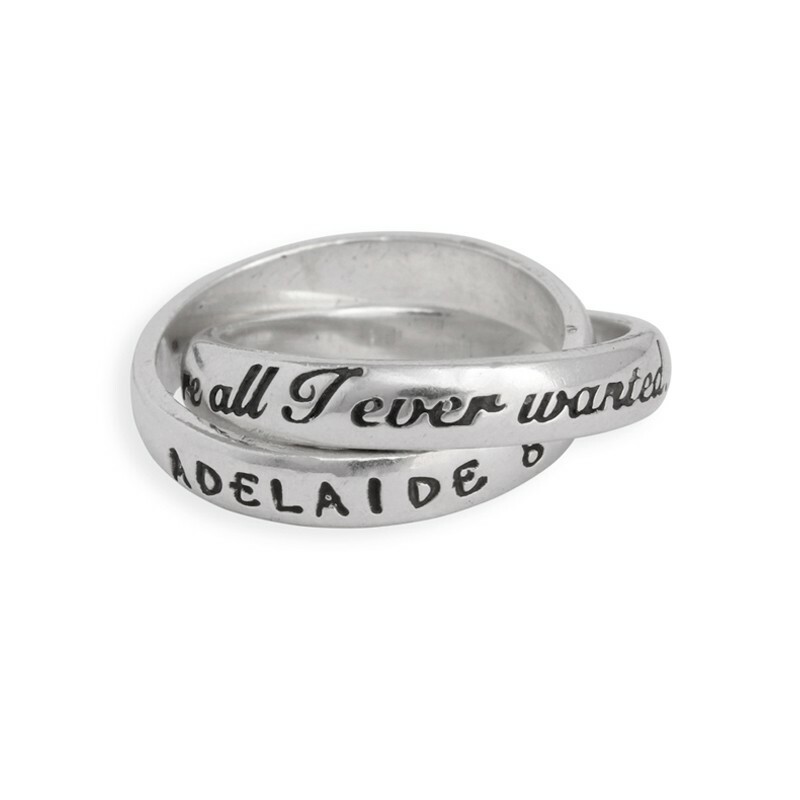 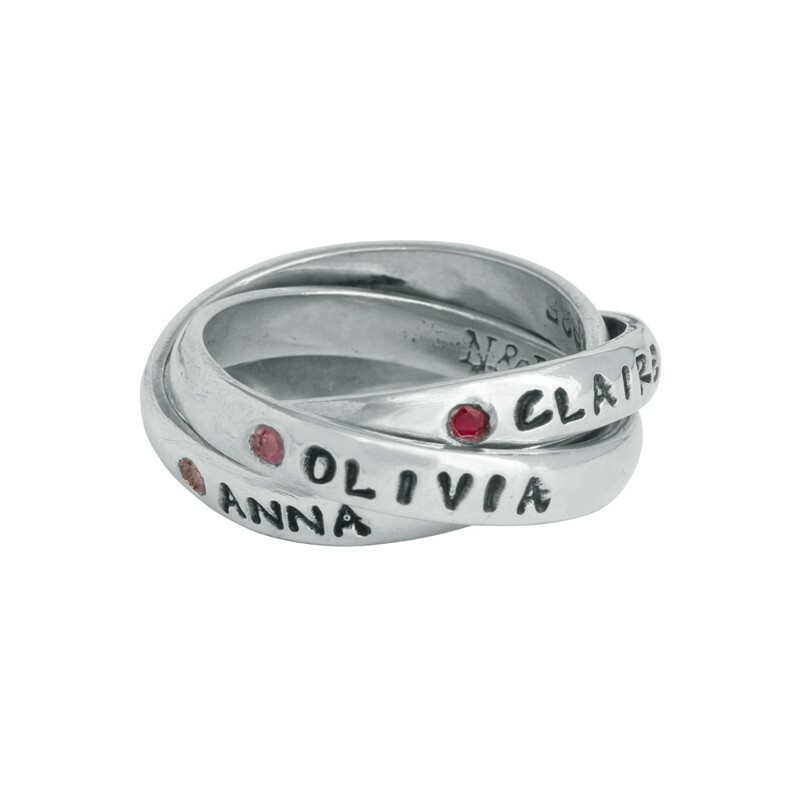 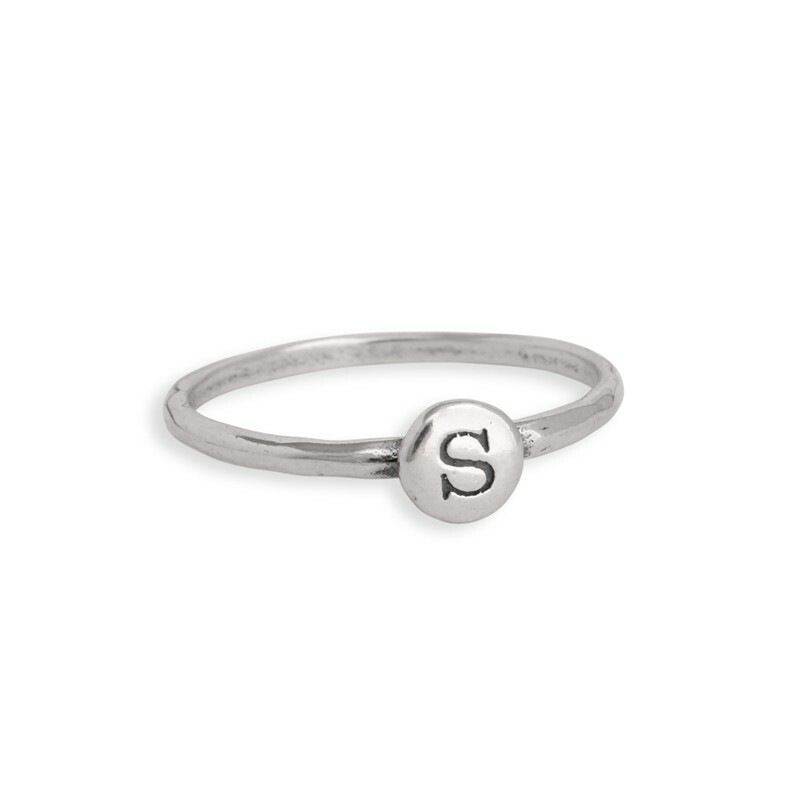 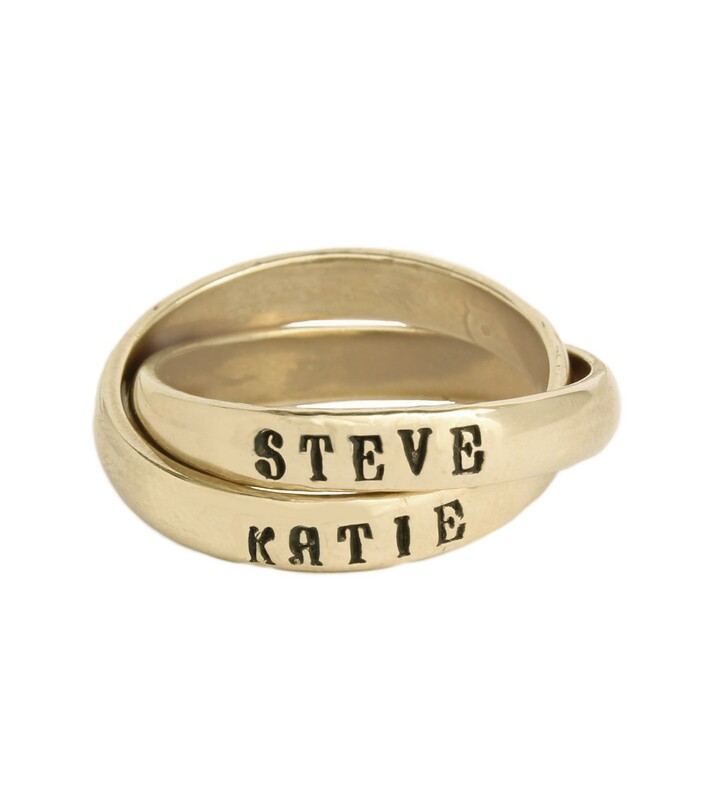 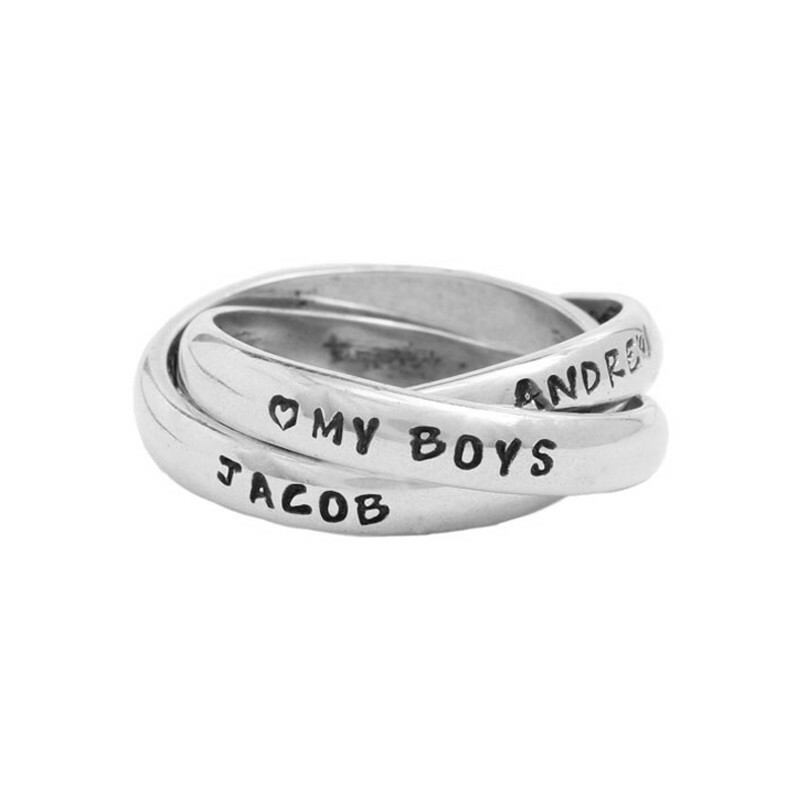 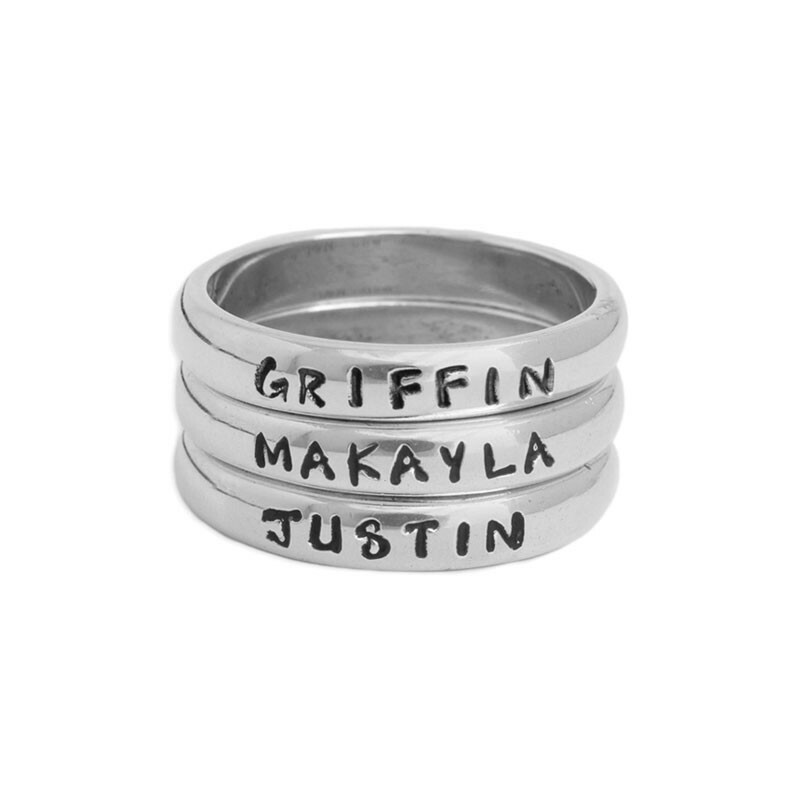 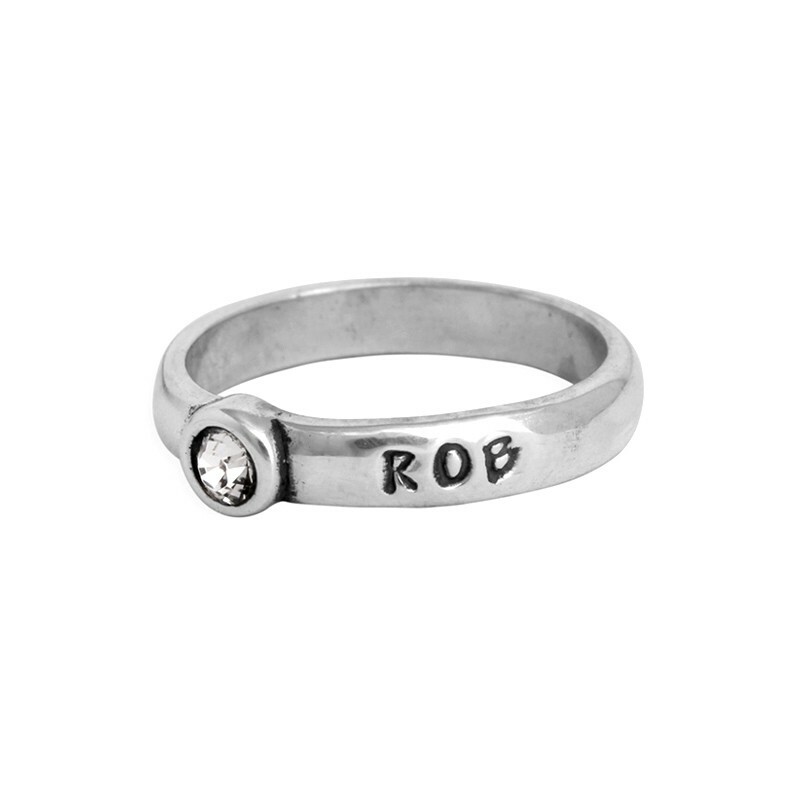 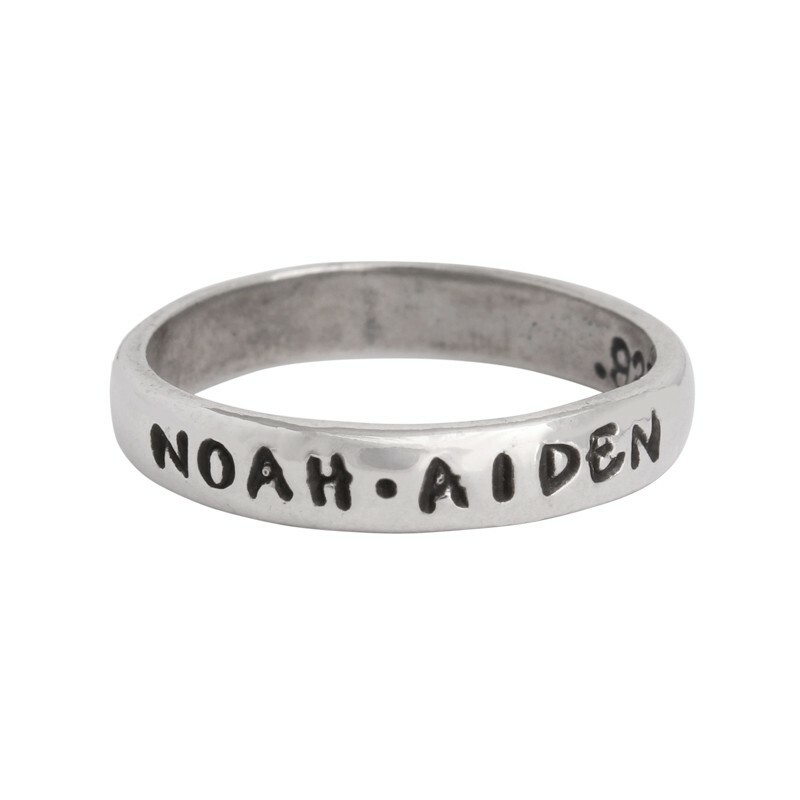 Some of our most popular include our personalized name rings and birthstone rings. 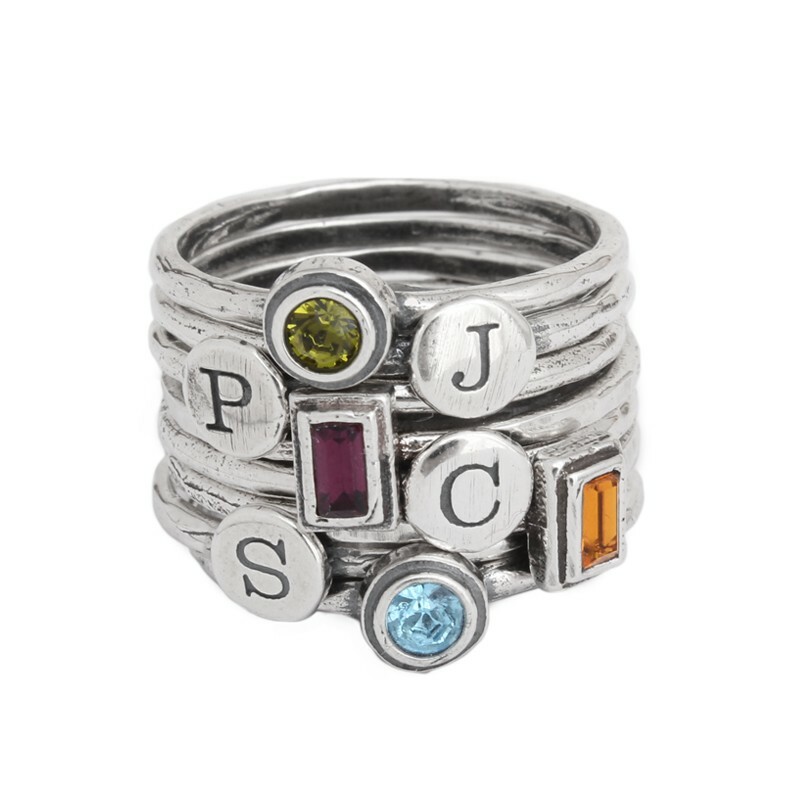 What a better way to find gift ideas? 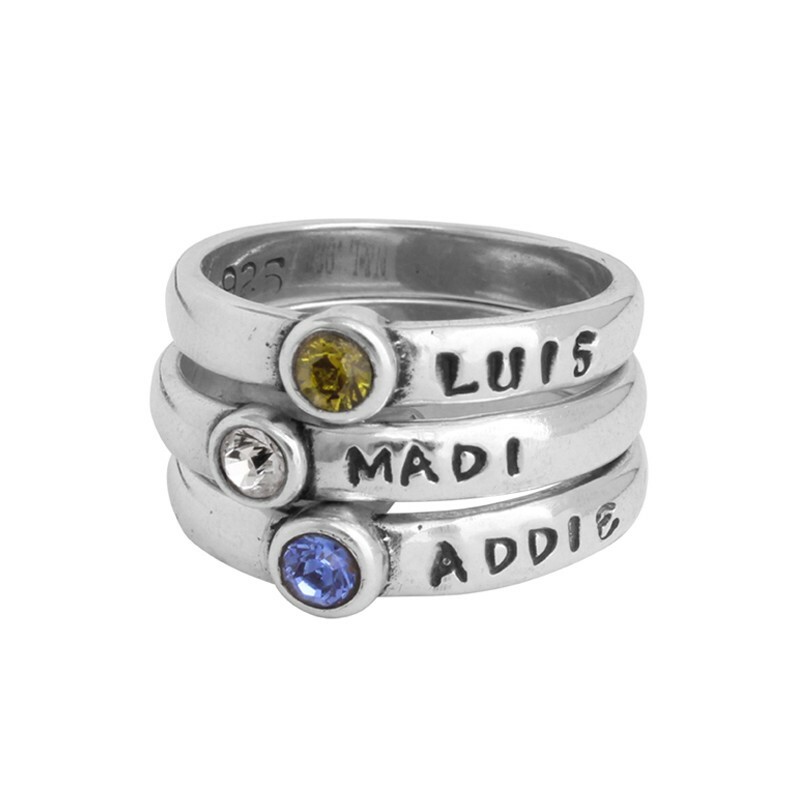 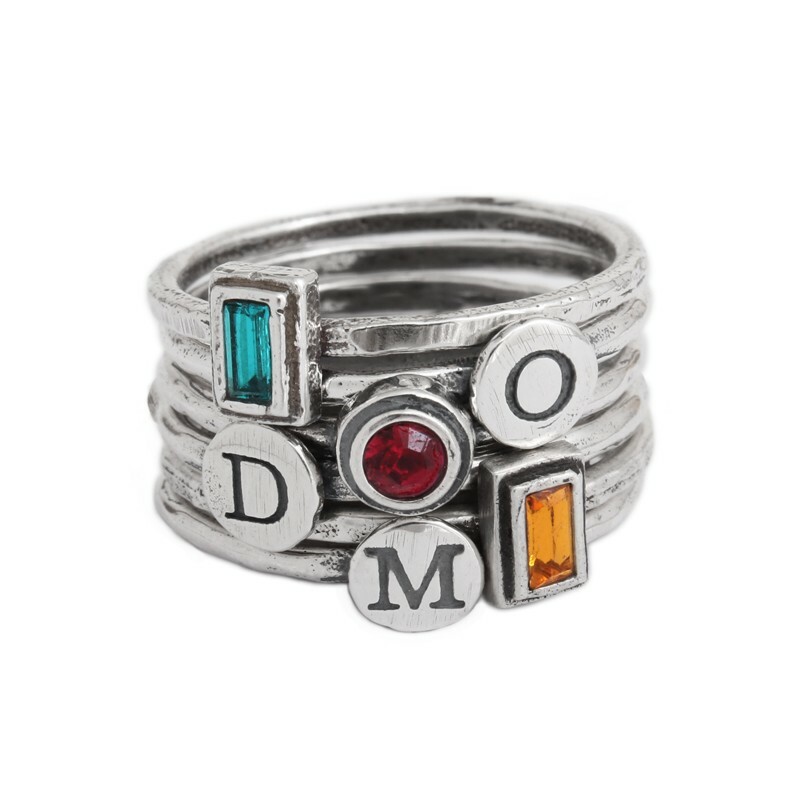 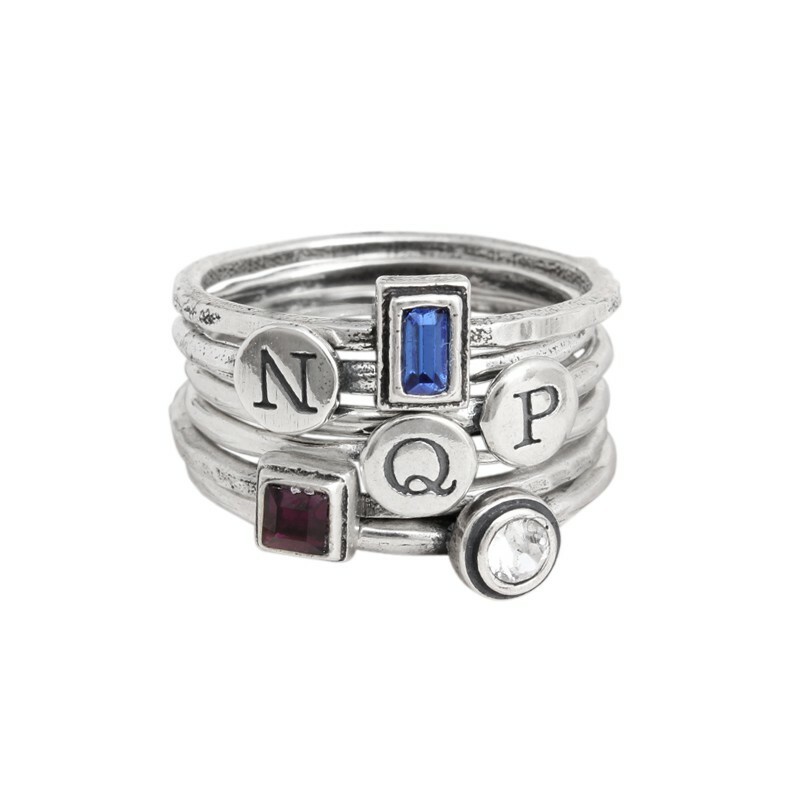 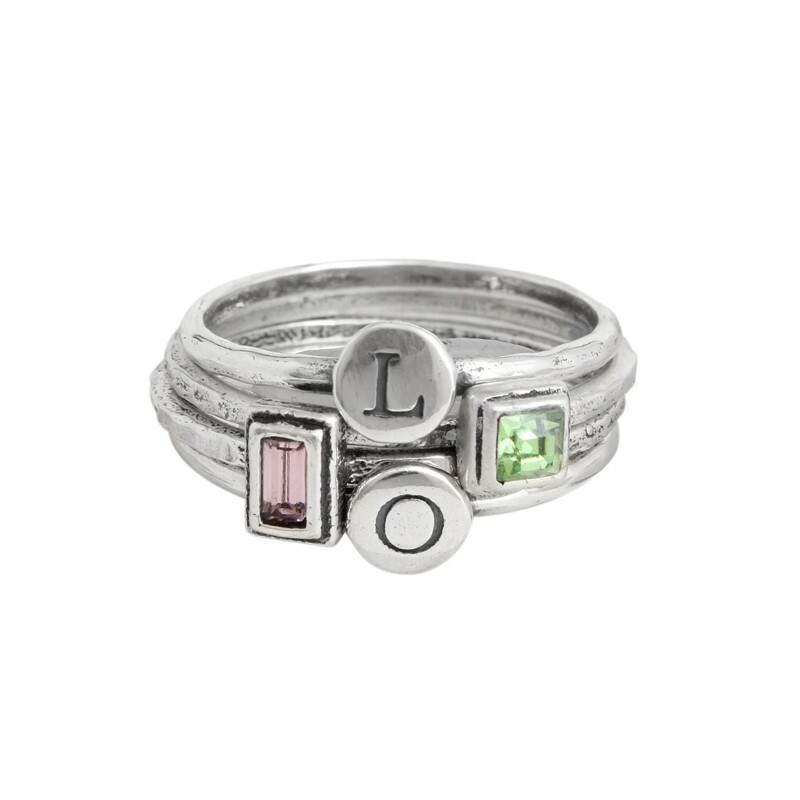 "Silver Stackable Rings with Initials and Birthstones, Grandmother of 2"